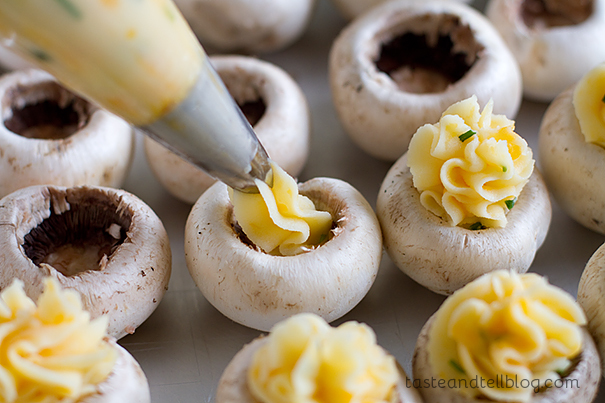 Mushrooms are stuffed with easy mashed potatoes for a different appetizer idea. 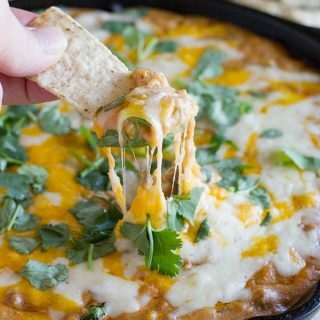 Is there an appetizer that you are always drawn to when you are at parties or get-togethers? For me, it’s the stuffed mushrooms. 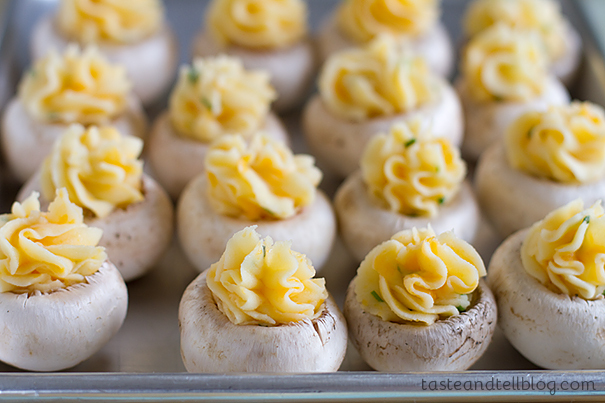 I’m a mushroom lover, anyway, but stuff them full of anything and then bake them up – I just can’t resist!! 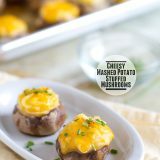 I have posted my very favorite stuffed mushroom recipe before, but I decided to try for a vegetarian version this time. When my friends over at Betty Crocker asked me to come up with a recipe using their potatoes, I knew that this appetizer recipe would be a hit!! 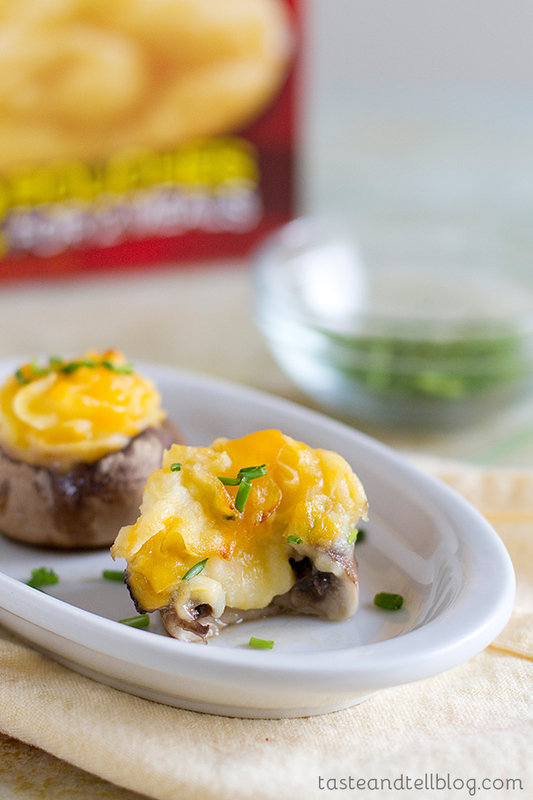 These stuffed mushrooms are so easy, especially when you start off with Betty Crocker potatoes. You could really use any variety of the mashed potatoes here – I almost went with the loaded mashed potatoes – I think those will be my next batch!! But really – it takes minutes to make the potatoes, and then minutes to put these together. The only tedious task is removing the mushroom stems but even that is done in no time!! And trust me – people love their carbs, so I’m sure this will be a favorite at your next holiday party! 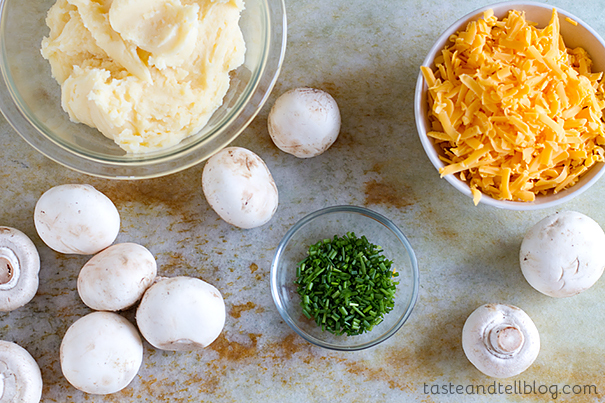 All you need are the prepared potatoes, cheese, chives and mushrooms. Plus a drizzle of olive oil. 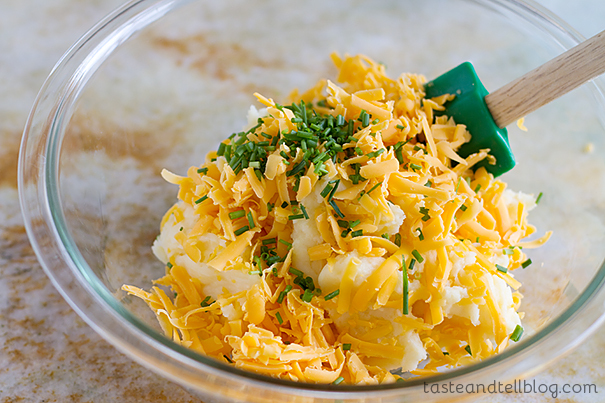 Start by adding 1 cup of the cheese and 2 tablespoons of the chives to the potatoes. I’m a believer that you can never have enough cheese!! 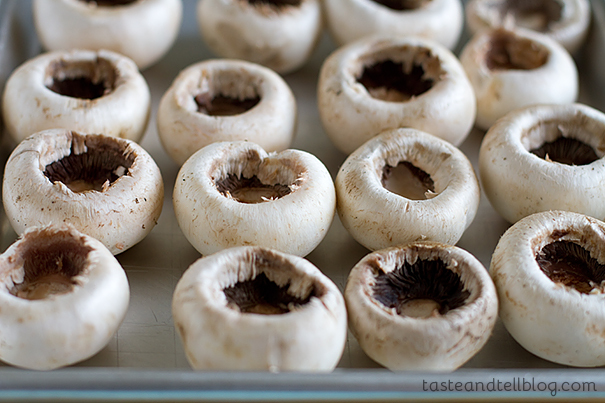 Remove the stems from the mushrooms and place them on a baking dish. Continue until you have all of the mushrooms filled. 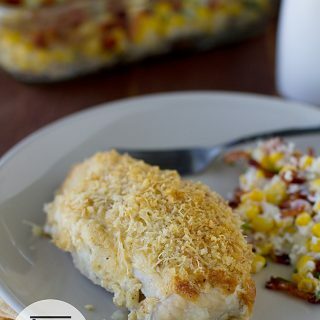 Stick them in the oven and bake for 15 minutes. After 15 minutes, remove the mushrooms and top with the remaining cheese. Put them back into the oven and bake until the cheese is melted, about 10 more minutes. I let the mushrooms sit in the dish for about 5-10 minutes. There are lots of juices that are released, and letting the mushrooms sit allows them to soak up a little bit of those juices. 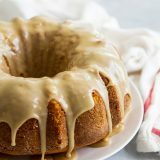 The juices equal flavor, and this is an easy way to get maximum flavor out of a little bite. Sprinkle the mushrooms with the remaining chives and then serve the mushrooms warm. 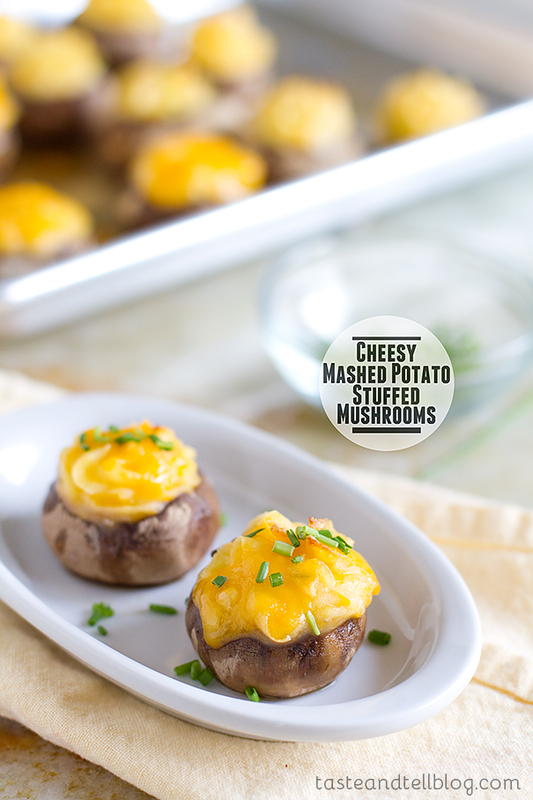 These are the perfect holiday appetizer! 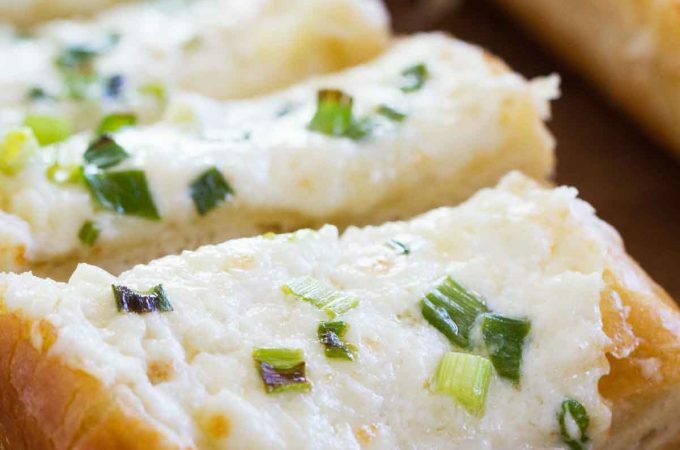 In a bowl, combine the prepared potatoes, 1 cup of the cheese and 3 tablespoons of the chives. Remove the stems from the mushroom caps. Place them cavity side up in a baking dish. Place the potato mixture in a piping bag with a star or your desired tip. (It will need to be a tip with a large opening.) Pipe the potato mixture into the mushrooms. Drizzle lightly with olive oil. 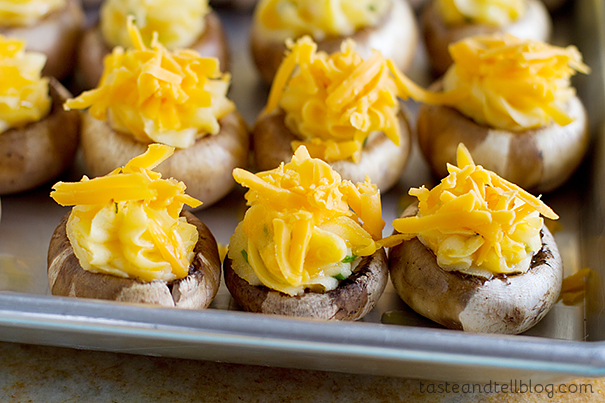 Bake for 15 minutes, then top the mushrooms with the remaining 1/2 cup cheese. Return to the oven and cook until the cheese has melted and the mushrooms are cooked, about 10 more minutes. Allow to cool for a couple minutes, then sprinkle with the remaining 1 tablespoon chives. Serve warm. Fun!! Definitely trying these – they look great! I should not be catching up on my subscriptions this late of night! 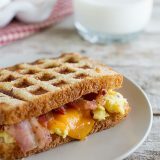 Your pictures are making me so hungry!! One of my coworkers is a stuffed mushroom addict so I will have to pass this recipe along to her! 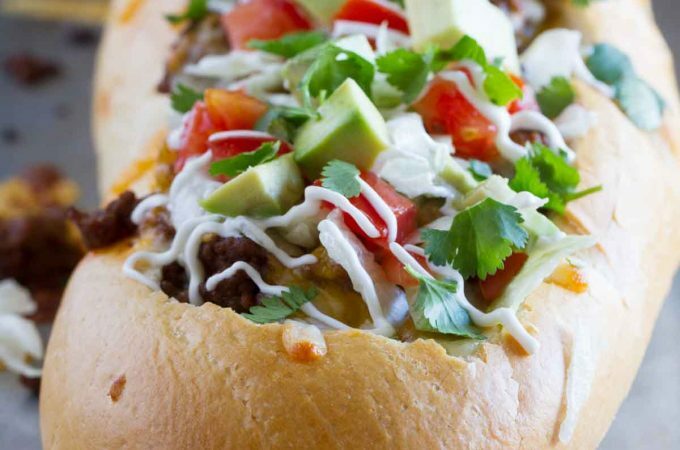 Who wouldn’t love them stuffed with cheesy potatoes?! 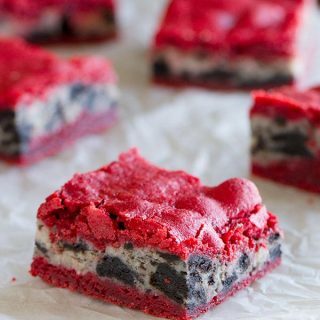 These look pretty and delicious! I love stuffed mushrooms! 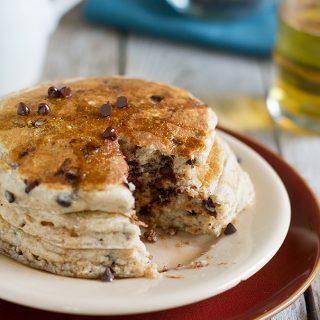 Oh my, these are mouth watering! I can only imagine how perfect they taste 🙂 can’t wait to try them myself. How Beautifully you presented these dish! Really looking awesome!